I finished my WSET Spirits Level 1 course (passed with 100% – sorry, just had to brag!) just 2 weeks before Deborah and I were due to visit the DeVere Wokefield Estate for a night away and a trip to the Bombay Sapphire Distillery at Lavenham. I was excited to show off my newly acquired knowledge to my friend, as well as looking forward to seeing where Bombay Sapphire gin is made, one of the key ingredients in my Negroni recipe. About 90 minutes from where we live in South London, The De Vere Wokefield Estate is certainly sizable, with a golf course, golf club, conference centre, a fishing lake, and outdoor activity space as well as the hotel itself. 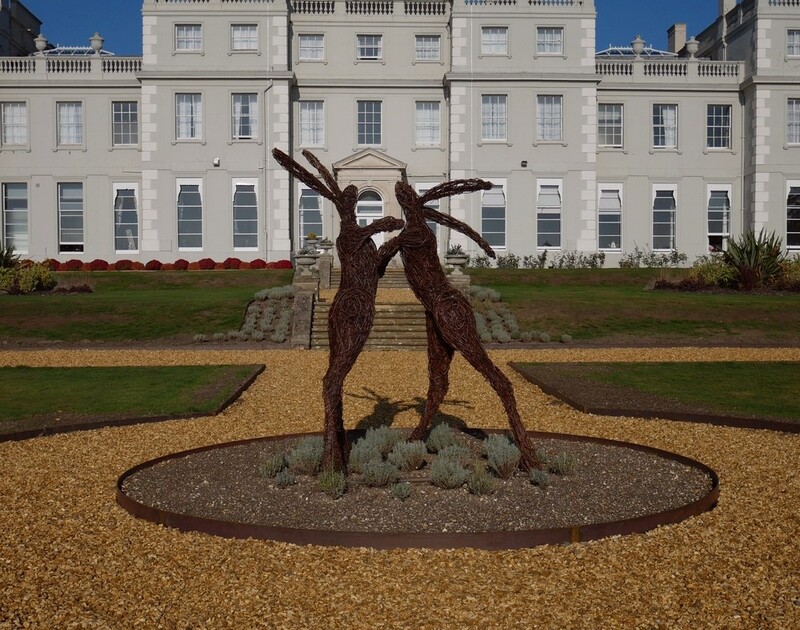 It’s classical with something of an English eccentric touch…there’s a bit of a hare theme going on in the gardens for instance! 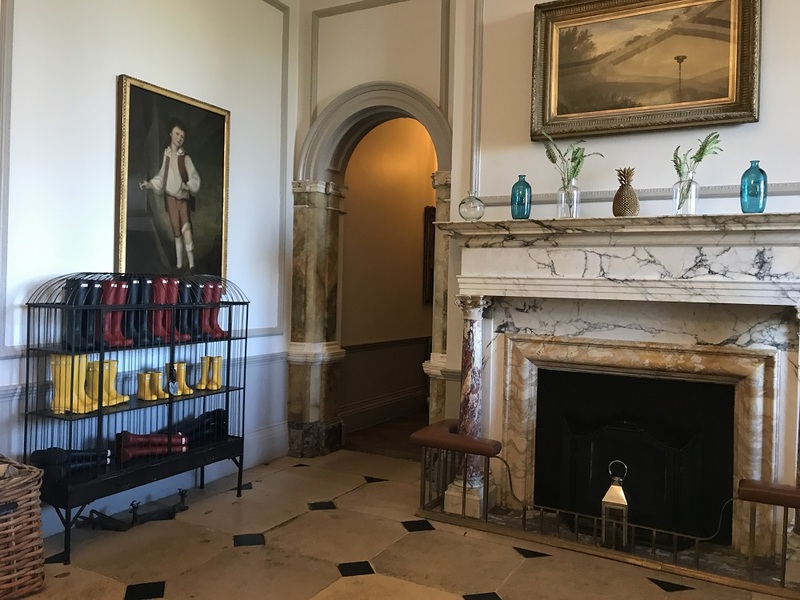 We loved the room, which managed to combine stylish modern features with quirky accessories such as a telescope and an old-fashioned suitcase on top of the wardrobe. We also appreciated the settee and a coffee table where we could sit and chat. The sizable bathroom contained both a freestanding roll top bath and a good sized shower. After swiftly unpacking we set off to the distillery for the tour. There was a wedding taking place in the hotel the day we arrived; sadly, the horse and carriage was for the bride and groom, not us! At the Bombay Sapphire distillery, we were provided with a headset each for a self-guided tour, together with a clever map that allowed you to listen in at key points to staff telling you about the history of the site. Originally an old mill complete with workers cottage, the distillery has a stream running through it of incredibly clear water. 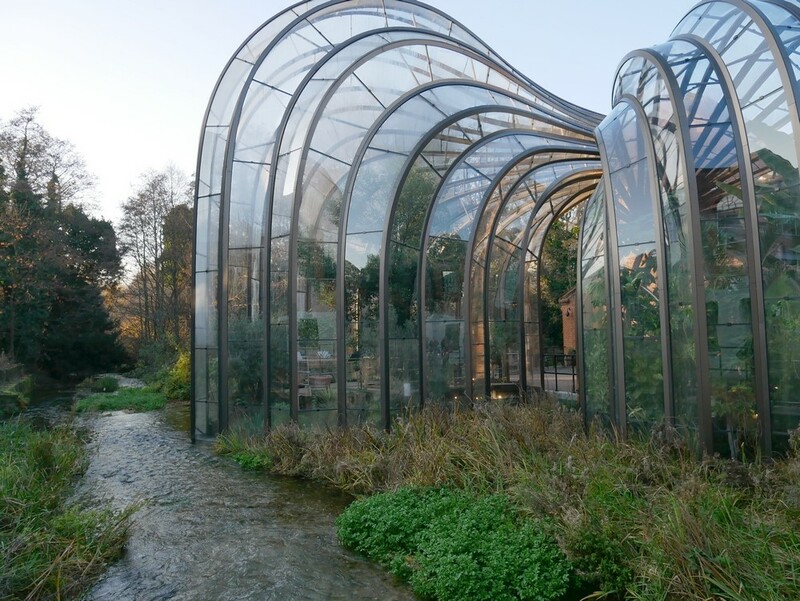 We loved the greenhouses containing the botanicals used to flavour the gin. The first greenhouse was warm and humid with bright blue butterflies warming themselves on the soil. The second was unheated. It was like visiting Kew Gardens but dedicated to gin botanicals only. Towards the end of the tour, we were invited to undertake a sensory test in the dry room by smelling various ingredients, categorised as either pine, spicy, earthy, floral or citrus. Each of us clipped a card to indicate which aromas appealed to us, where the clips were clustered gave suggestions which gin-based cocktail we might enjoy at the end of the tour. My kind of research! My olfactory choice led me towards an earthy cocktail called a Watership Down, which was Bombay Sapphire, Noilly Prat, a light tonic combined with freshly peeled carrot slices and coriander leaf. Deborah’s nose led her to the spicy side of the list and she chose The Laverstoke. 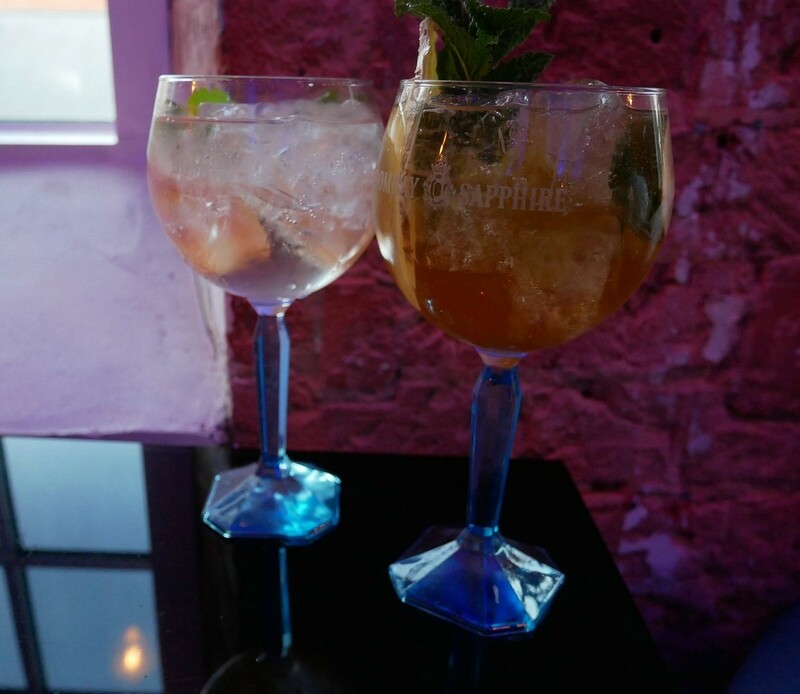 Comprising Bombay Sapphire, Martini Rosso, St Germain Elderflower liqueur, lime wedges topped with light ginger ale, ginger slices and a fresh mint sprig it was such a hit with Deborah that she attacked the shop and bought the ingredients! 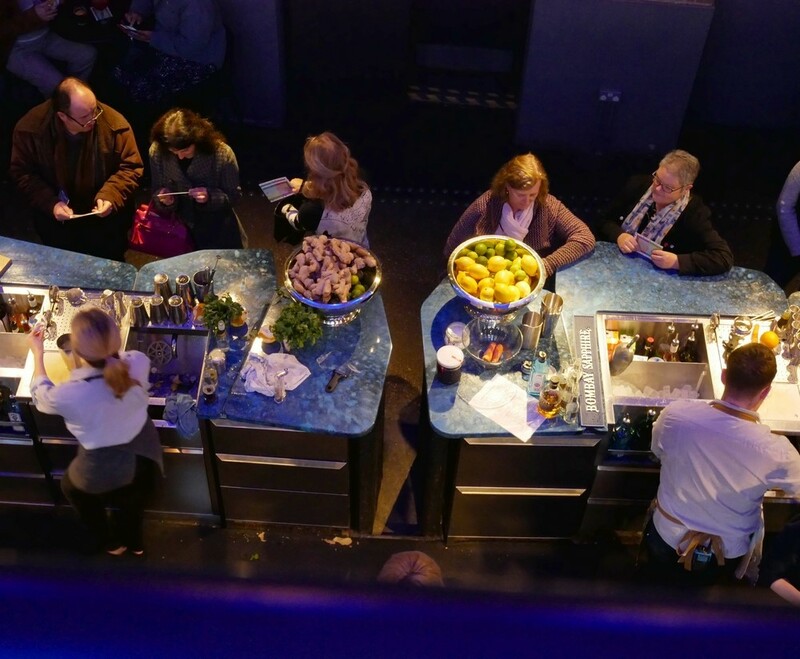 We loved sitting in the balcony above the bar, people watching whilst we sipped our delicious cocktails – there are a few options available if you are visiting including Gin Masterclasses and Hosted Tours so do check out the Bombay Sapphire Distillery site. 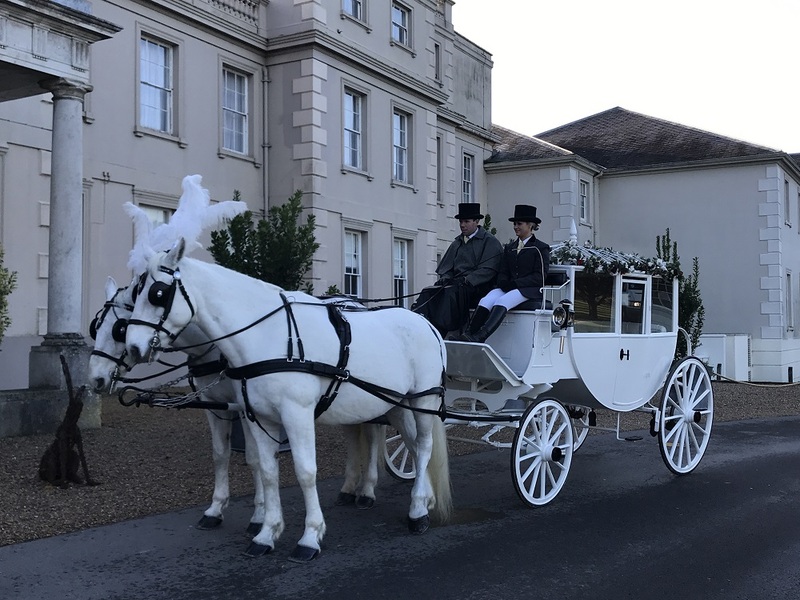 There’s also a shuttle bus from the local stations to the distillery, so if you are not staying over at the De Vere Wokefield Estate, you can still get there without driving. 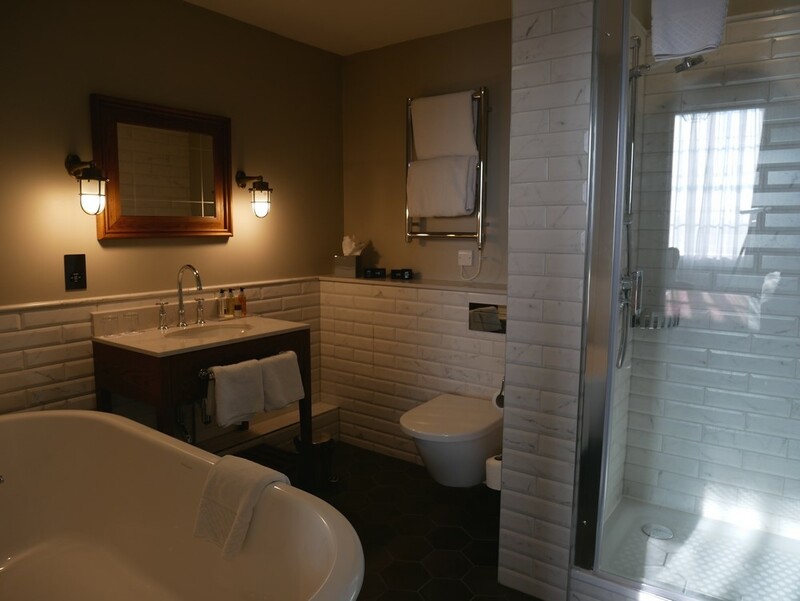 Back at the De Vere Wokefield Estate Hotel, we enjoyed a glass or two of fizz in our room before having a bite to eat and retiring to our deluxe room for an excellent nights’ sleep. 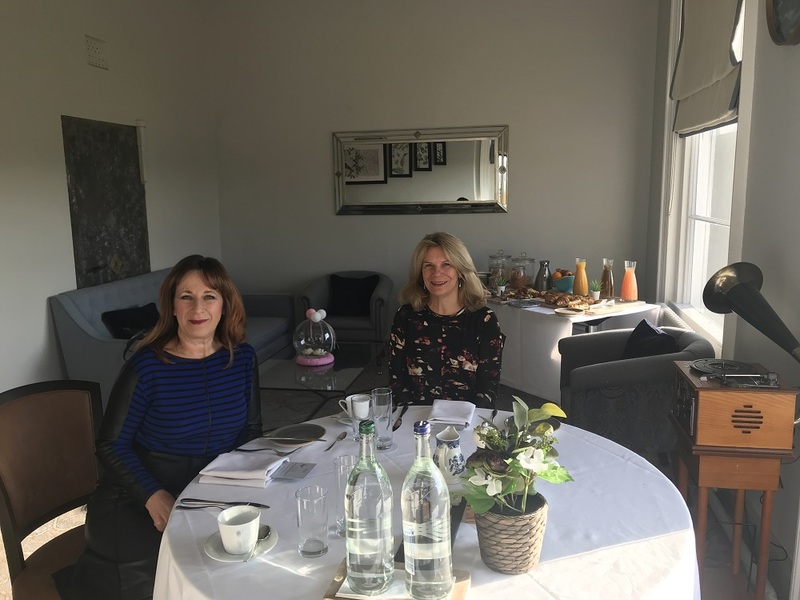 In the morning we certainly felt like ‘Ladies of the Manor’ when we were shown to our private dining room for breakfast. 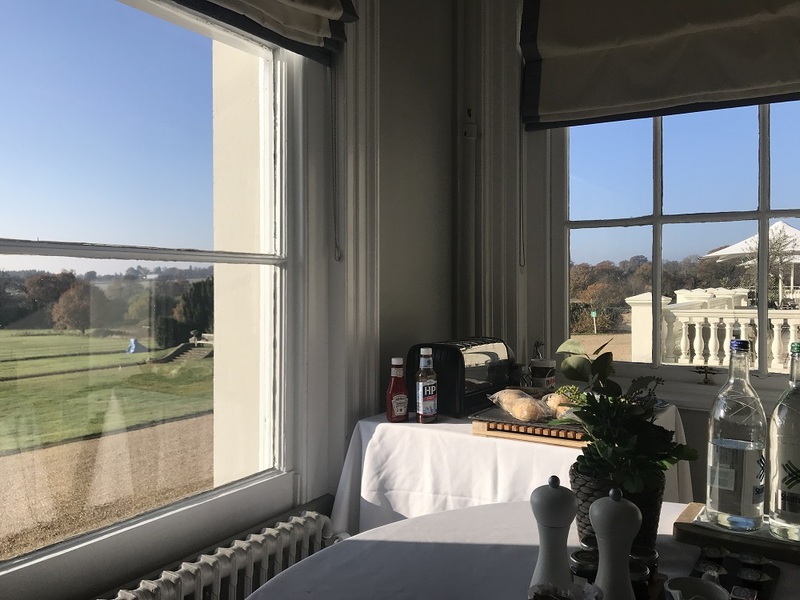 With a triple aspect, the room had great views over the grounds of the De Vere Wokefield Estate and was bright and airy. 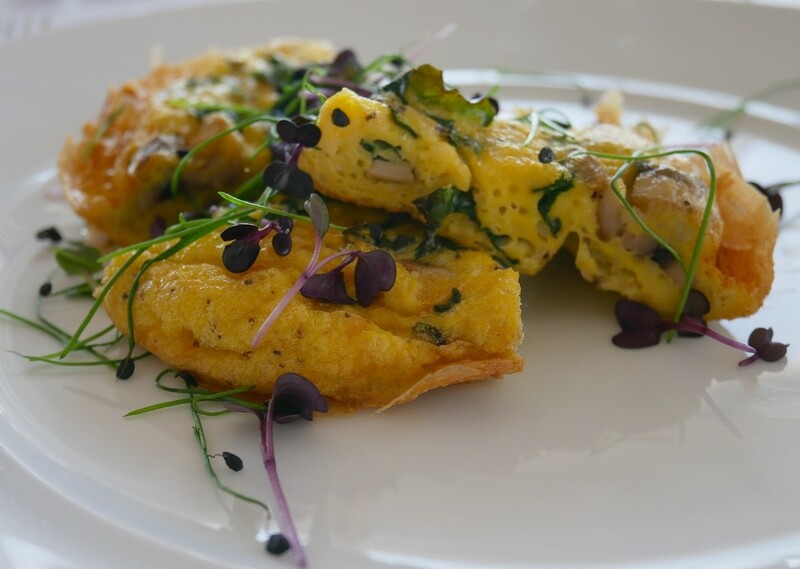 We were honoured to be the first guests to be trialling the new private dining breakfast experience. 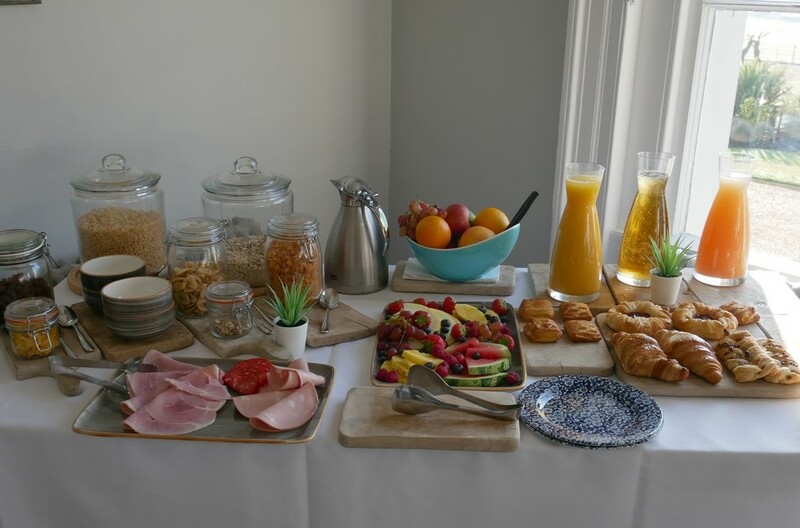 Beautifully set up tables, a fine buffet spread with everything you could ask for and more, attentive service and plenty of tea. What more could you ask for? We both started with juice and a fruit plate to start before ordering from the extensive cooked breakfast menu. 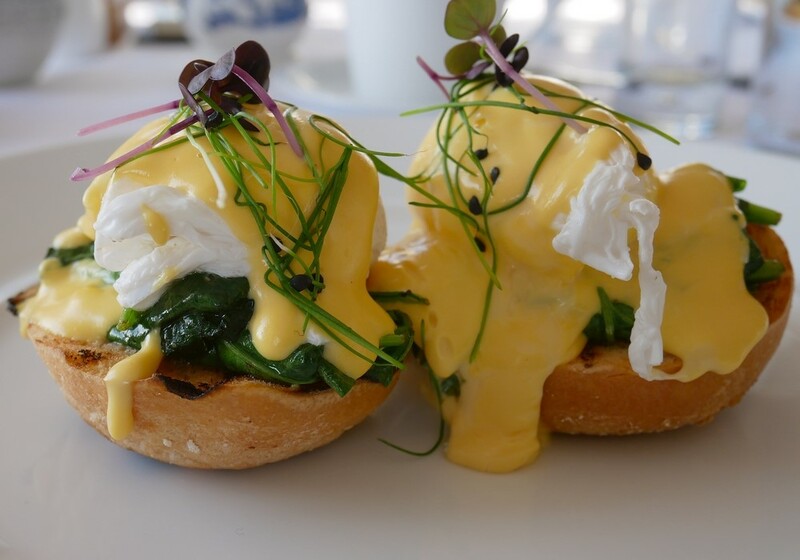 Neither of us felt we would do justice to the Full English; Deborah had Eggs Florentine with perfectly cooked poached eggs smothered in lovely light hollandaise sauce and was thrilled to find gluten-free rolls were available too. We had a cappuccino to round things off but unfortunately could not find enough space to sample all the pastries. The only thing that would make this perfect would be a selection of different homemade breads. The private breakfast was very special and would make for a very romantic touch to finish a weekend away at the hotel. Something we’d highly recommend for couples, it was lovely to take our time and enjoy the private space and views of the grounds. 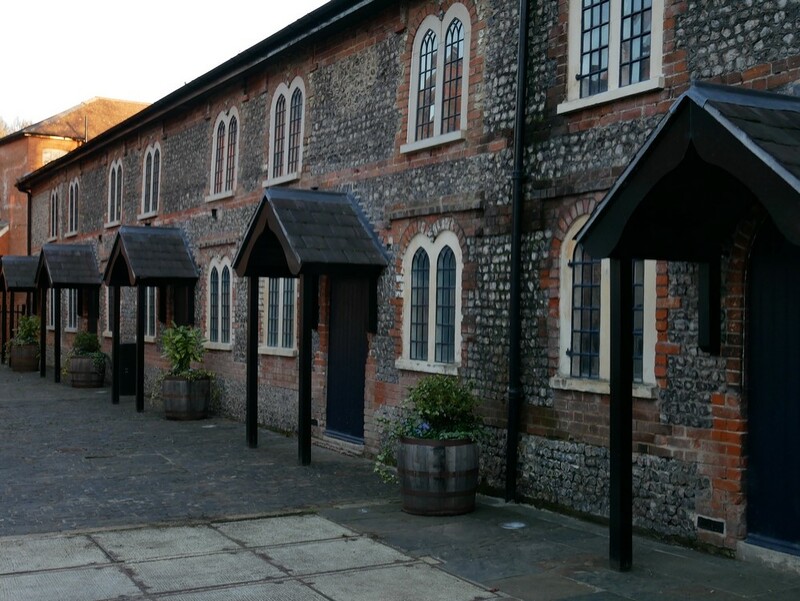 Although we enjoyed our visit, the Bombay Sapphire Distillery was about a 40 minute plus drive away from the De Vere Wokefield, so perhaps not the most obvious package. The grounds of the hotel are extensive, and we both enjoyed a stroll through them in the morning. There are plenty of other things to do in and around the hotel too. 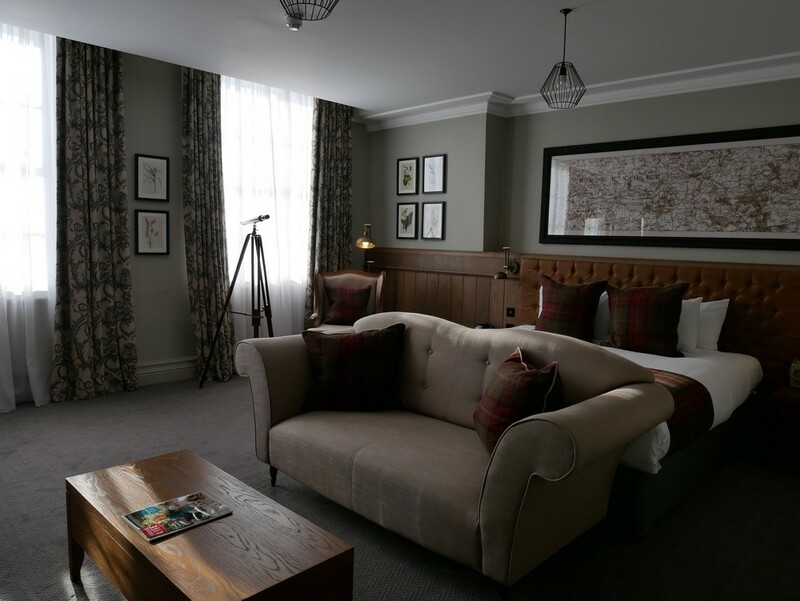 The De Vere Wokefield provides a local companion of several activities and places to visit both urban and rural including a Roman Town, a farm, shopping centres, a brewery and horse racing at Newbury. Even Windsor Castle is only 30 minutes away. And, located in the grounds of the hotel, Unique Outdoors Centre offers a whole range of activities including laser combat, archery, high ropes, zorbing and more. Next time Deborah says she wants to do the activities while I’ll be watching with a G&T in hand! We were guests of De Vere. Two of my very good friends got married here in September and we enjoyed our room. Going to the Bombay Sapphire (Nest Basingstoke where I used to live) is a fair drive though at probably just under an hour or an hour depending on if you’re caught in rush hour. Thanks for your comment, reinforcing what Sarah said about the distance to Laverstoke in the feature – although I think she found the journey took around 40 minutes. The food looks incredible as well. Those greenhouses are amazing. Would love a look around them.